Every Grace Lane home is custom designed and built according to the client’s unique needs and preferences. 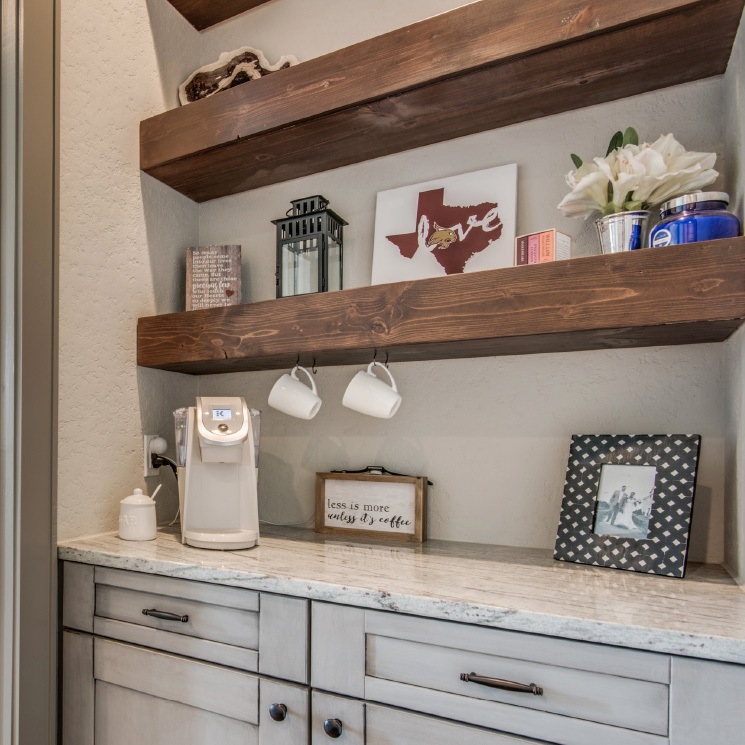 When you partner with Grace Lane Texas custom home builders in Canyon Lake, New Braunfels, Boerne or Bandera, you have a builder who listens to what you want and offers guidance to build the best possible home within your budget. Josh and Michelle Bermes offer creativity and hands-on assistance in making selections for every aspect of your new home. Materials that Michelle likes to use for countertops include granite, quartz or concrete. Tile she chooses may be porcelain, ceramic, glass or mosaic. 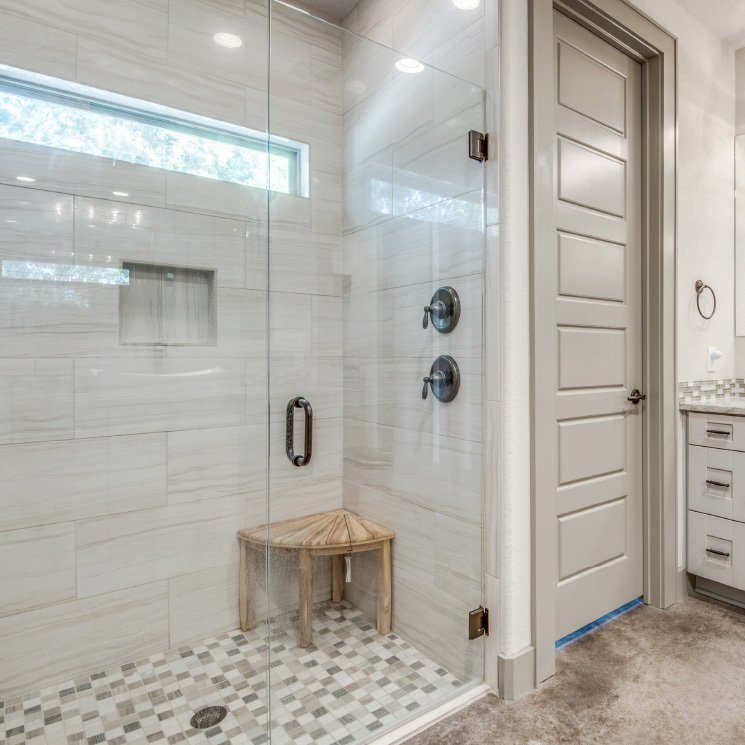 Recognizing the endless options in flooring, Michelle says she strives to get the “wow” out of customers, using wood-look porcelain or ceramic planks. You’ll notice the dramatic ceilings in Grace Lane Homes can range from a coffered ceiling with beadboard to a stained wood beam and plank ceiling to a double barrel ceiling. 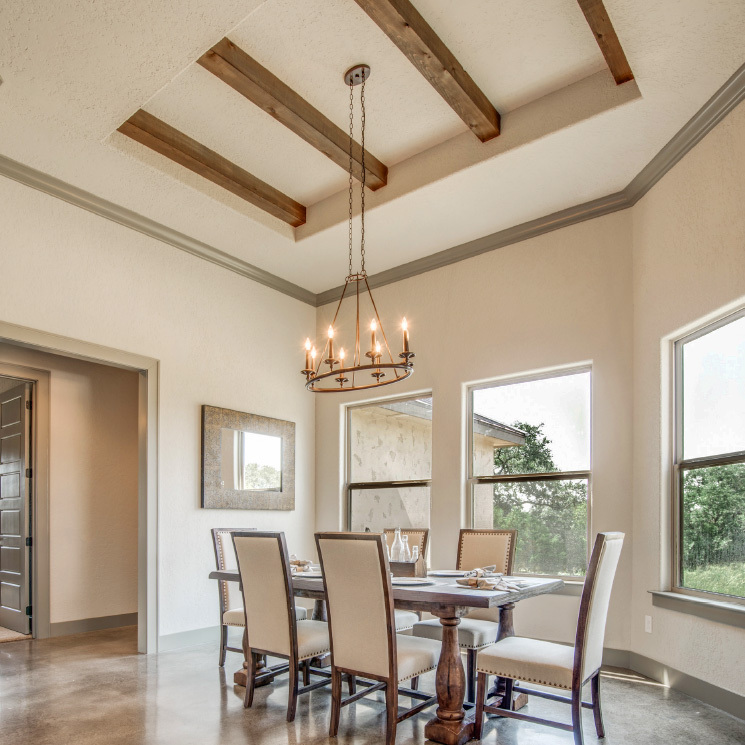 Cathedral ceilings, tray ceilings, beamed ceilings and stone arches are also found in Grace Lane Homes. See what’s included in every Grace Lane custom home!